Jana Liekam’s new employer is too big to like. Deutsche Global is one of Germany’s largest investment banks, but they have recently been thrown off-stride by scandals and bad investments. 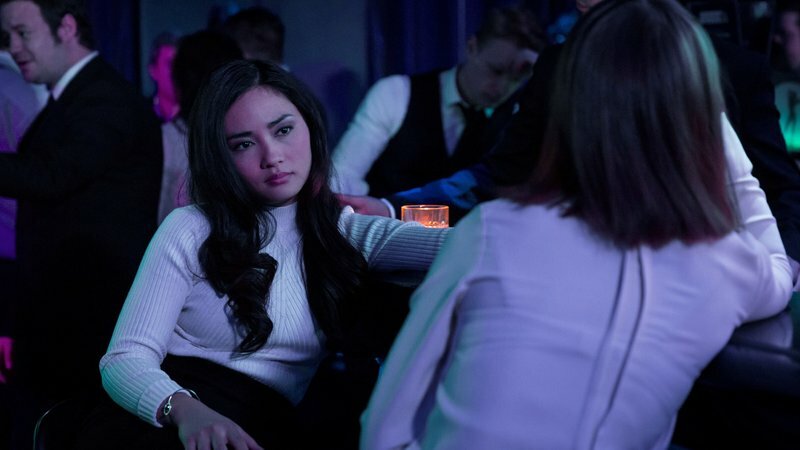 It represents a second chance for Liekam, who might just save the bank, so she can help destroy it later in the German limited series Bad Banks (trailer here), directed by Christian Schwochow, the first two episodes of which screen during this year’s KINO! : Festival of German Films in New York. Liekam has just been fired from Luxembourg-based Credit International for making her boss, Luc Jacoby, the chairman’s coked-up, entitled son look bad. Christelle Leblanc, the firm’s director agrees this is unfair, but cautions Liekam she must learn to play the game better. Thanks to her secret string-pulling, she gets Liekam a tryout at Deutsche Global working for their hotshot investment manager Gabriel Fenger. From time to time, Lebanc will supply Liekam with timely “insider” information, but she makes it clear she wants highly compromising information on Credit International in return. Judging from the in media res opening, the junk bonds will eventually hit the fan in a big, panic-inducing way. Presumably, Liekam will play a major role in the meltdown. Obviously, there is a lot of intrigue building behind the scenes, but the first two episodes are relatively self-contained, thereby making a good festival showcase. Paula Beer (so terrific in Ozon’s Frantz) is well cast as Liekam. She can be quite forceful and even cynical, but it is clear from her early breakdown, she probably has issues that will later come to the fore. Barry Atsma is also wonderfully flamboyant as Fenger, a true child of Gordon Gekko. May Duong Kieu also makes quite an impression as Thao Hoang, Liekam’s new team-member, who will either be her uneasy ally or a femme fatale rival, or something in between (just how their relationship shakes out will be one of the series’ intriguing uncertainties). Marc Limpach is a clammy mess as Jacoby the younger, but Jean Marc Barr promises plenty of steely skullduggery as Deutsche Global’s chairman, Robert Khano. Schwochow, a veteran of both film and television, helms with style, hooking viewers right from the start. He lays a good deal of groundwork in the first two episodes, yet still manages to end each one in quite a satisfying manner. 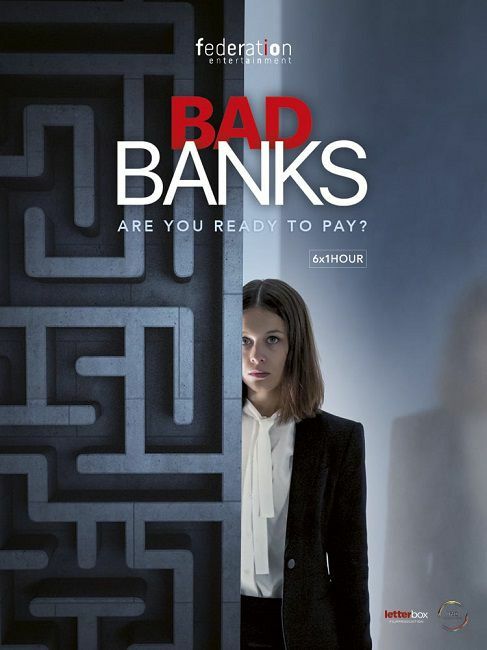 Hopefully, MHz or someone will pick up Bad Banks, because it is really smart and addictive television. Until then, the first two episodes are highly recommended when they screen this Saturday (4/7) and next Thursday (4/12), as part of KINO! 2018 in New York City.